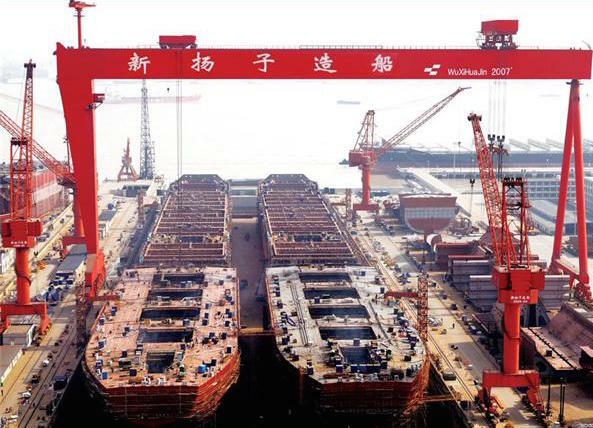 Greek owner Evalend Shipping has returned to China’s Yangzijiang Shipbuilding for the construction of four 82,000 dwt panamax bulkers at a price of $24m each. Delivery of the vessels will start in 2019. Evalend Shipping took delivery of 82,000 dwt resale bulkers Laguna Seca, Tomahawk and Captain Adam from Yangzijiang earlier this year. The vessels were originally ordered by Paragon Shipping back in 2014. Evalend Shipping now operates a fleet of 32 vessels including 25 bulkers and seven tankers, and it also has two LPG carriers under construction at Hyundai Mipo.